I found this in the mountains of Colorado. I think it is actinolite. 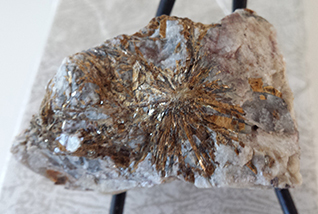 It does have the radial crystal pattern that is a characteristic of actinolite.